Auburn can easily be described as a transportation hub in the nineteenth century, with multiple railroads and the Schuylkill Navigation Company Canal along the Schuylkill River providing access to market for local coal mines and the fertile farmlands. One of the first railroads through the community was a short-lined called the Dauphin & Susquehanna Railroad. Constructed in Auburn in 1853, and opened the following year, the Dauphin & Susquehanna Railroad was built from the Susquehanna River at Rockville, Dauphin County, to the Schuylkill River at Auburn, opening the southern-most Anthracite Coal Region in Pennsylvania to market. Unfortunately, as the coal mines serviced by the line in Stony Valley played out, the railroad was forced to reorganize as the Schuylkill & Susquehanna Railroad Company in 1859. 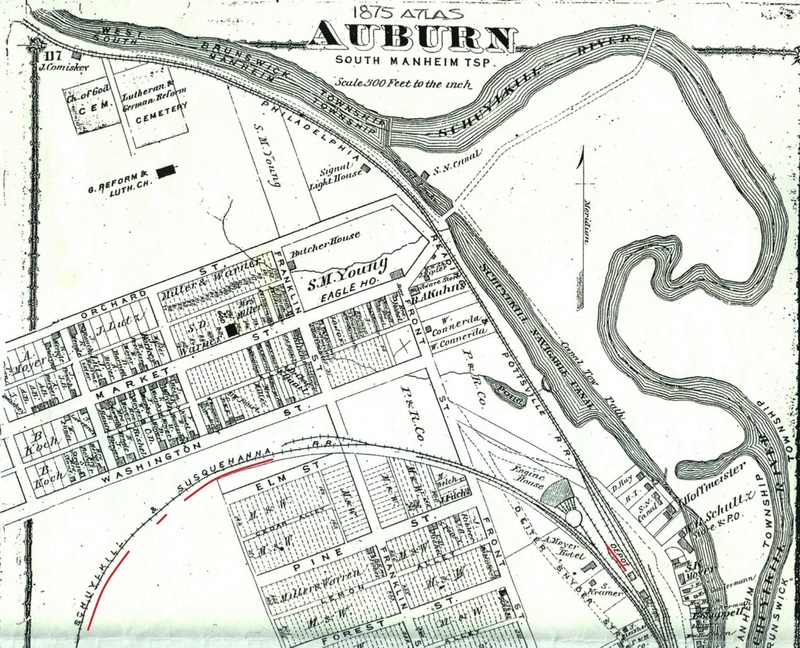 The S&S Railroad, as it was nicknamed, provided the community of Auburn with a conveniently located station along the "Auburn Curve" (as the map above depicts). However, even the new railroad was short lived. Like the Dauphin & Susquehanna Railroad, the S&S was also seeing financial woes, and the line was quickly taken over by the Philadelphia & Reading Railroad Company in a little over a decade. Auburn saw changes as the Philadelphia & Reading Railroad started to revitalize the now Schuylkill & Susquehanna Branch. Among the first of the changes was the construction of a new railroad station around the turn of the twentieth-century (depicted below), which also allowed a place to load and unload livestock. The new station would allow local businesses and organizations, who did not need their own railroad sidings, better access to the railroad, enabling places like the Jefferson Grange to pick up grain. 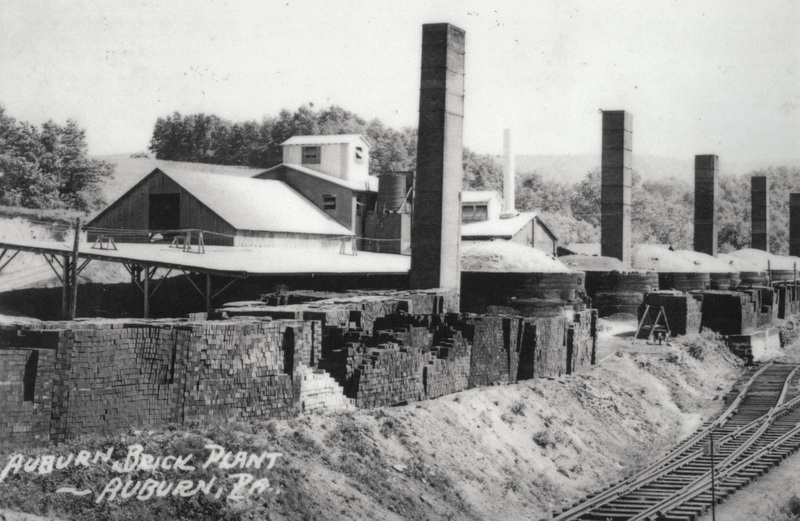 Other businesses would receive their own sidings, like those at the Auburn Brick Works (depicted below) to the west of town, and the Jefferson Iron Furnace at the neighboring station of Jefferson. Unfortunately, with the burning of Red Bridge, near Pine Grove, the line faltered under the Reading Company, and the remaining businesses being serviced by the railroad quickly switched to trucks. The official abandonment of the Schuylkill & Susquehanna Branch through Auburn occurred a few years later in 1944. BRANDY M. WATTS MARTIN has been studying the abandoned Schuylkill & Susquehanna Railroad since 1997. Today she shares her research on guided tours, on her website StonyValley.com, and in presentations. 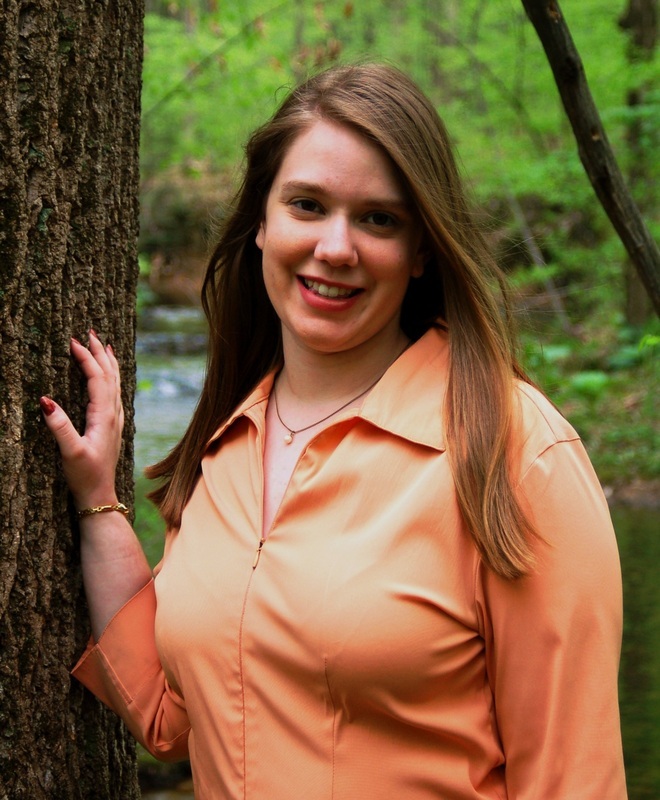 Brandy has presented three times at the Auburn Area Historical Society on various topics relating to the Schuylkill & Susquehanna Railroad, and is presently Webpage Manager and Consultant on the topic for the society. 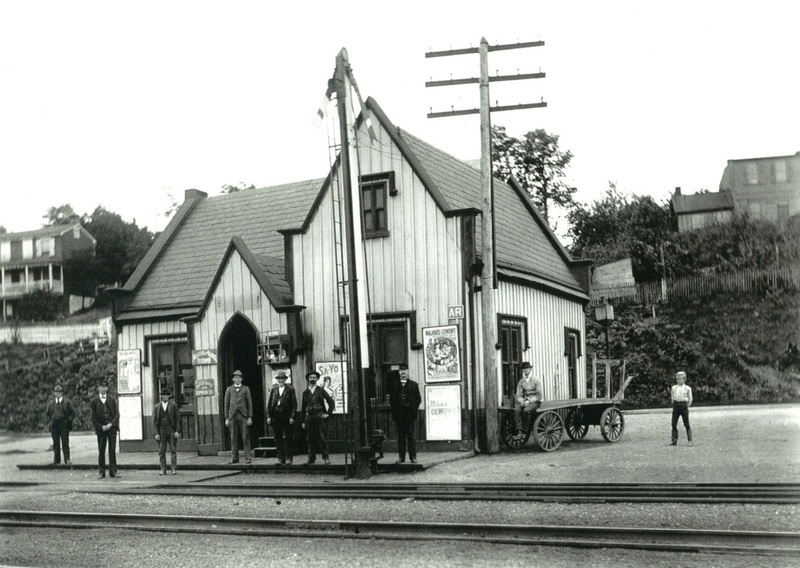 Do you have information or questions about the Schuylkill & Susquehanna Railroad, its stations, industries it serviced, or individuals that worked on the line? Contact Historian@StonyValley.com.